In conjunction with World Wildlife Day, our preschoolers from Crestar Education Group’s Kinderland and NurtureStars joined hands and spent a fruitful day learning about the importance of wildlife conservation. Over 200 preschoolers, aged 5 years old and above, arrived at the Singapore Zoo bright and early on Friday morning. The wildlife park was bustling with activities as the children were eager to come close to the residents of the zoo. The children were joined by Mr Tan Chuan-Jin, Speaker of Parliament, who is also the deputy chairman of Mandai Park Holdings (MPH), the parent company of Wildlife Reserves Singapore (WRS). 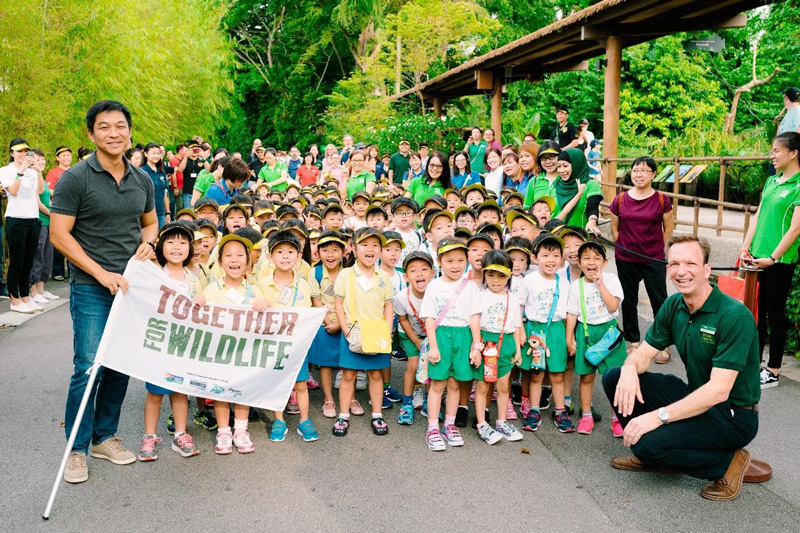 Mr Tan kicked off this year’s campaign – themed ‘Together for Wildlife’ which aims to raise public awareness and rally communities, companies and individuals to value the importance of preserving wildlife and biodiversity through conservation efforts. Caring for the environment begins from an early age at Crestar. Educational excursions such as this takes learning out of the classroom and help our children develop their awareness on the role that they play in the environment. 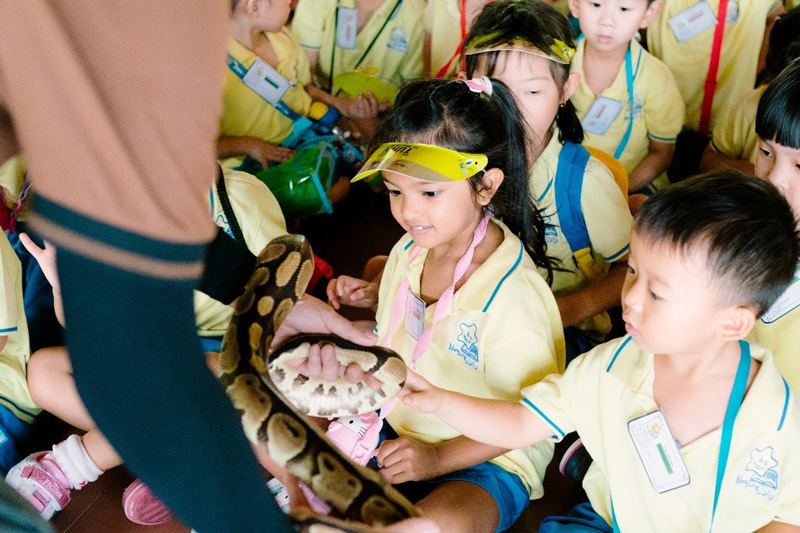 NurtureStars children get an up-close and personal with the Ball python. For most of the children, the zoo is their only opportunity to see these animals which are often talked about in books and on television. 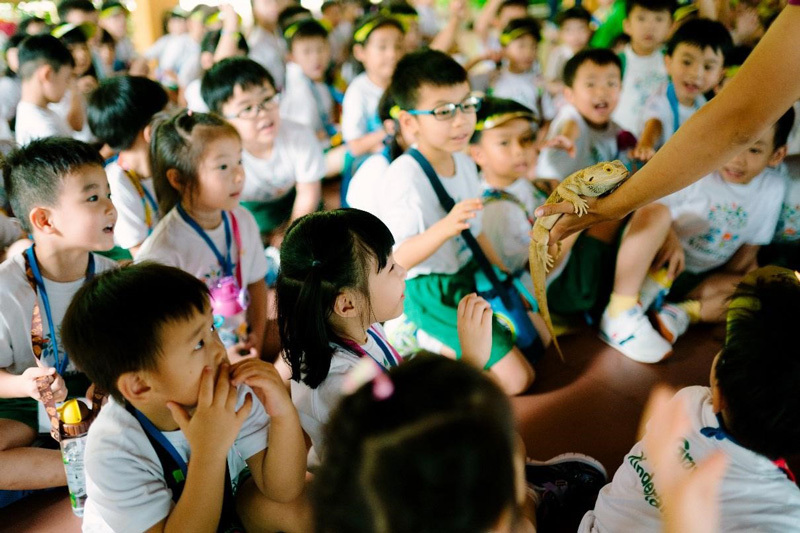 As they walked through the zoo, they were curious to learn more about natural habitats and were exposed to the real threat of poaching and how some of their beloved animal friends have lost their homes. By practicing these tips, we can all chip in to make a difference! As an avid supporter of wildlife conservation initiatives, preschoolers and staff from Crestar have participated in various events organised by the WRS as part of our commitment to the good cause.